One night, when Ethan reaches under his bed for a toy truck, he finds this note instead: “Monsters! Meet here for final test.” Ethan is sure his parents are trying to trick him into staying in bed… until he sees five colorful sets of eyes blinking at him from under the bed. Soon, a colorful parade of quirky, squeaky little monsters emerge from beneath the bed and compete to become Ethan’s monster. 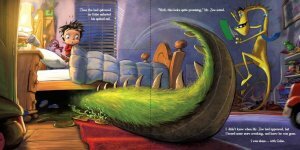 But only the little green monster, Gabe, has the perfect blend of stomach-rumbling and snorting needed to get Ethan into bed and keep him there so he falls asleep— which as everyone knows, is the real reason for monsters under beds. With its perfect balance of giggles and shivers, this silly-spooky prequel to the award-winning I Need My Monster and Hey, That’s MY Monster! will keep you under your covers and you’ll soon be sleeping soundly. 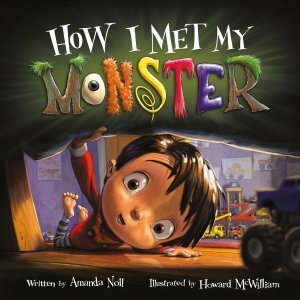 Amanda Noll is the author of I Need My Monster and Hey, That’s MY Monster! illustrated by Howard McWilliam. Born and raised in Canberra, Australia, Amanda moved to the United States as a teen. After marrying her college sweetheart, she began working in the purchasing division of a private university (which was ironic, since she despises shopping). After a while, Amanda left the business world to attend to the business of raising children, and to concentrate on her writing. Her work has appeared in Hopscotch and Family Fun magazines. She blames her fundamentally twisted sense of humor on either genetics or being raised on a steady stream of Australian humor and science fiction. 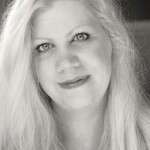 Amanda lives in Spanaway, Washington with her husband and children. The monster under her bed is named Gertie. Read more about Amanda on her personal website. 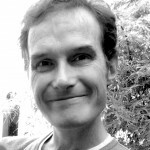 Howard McWilliam is the illustrator of I Need My Monster and Hey! That’s MY Monster, written by Amanda Noll, and When a Dragon Moves In and When a Dragon Moves In Again, written by Jodi Moore. In 2005, Howard left his work as a magazine editor and journalist to concentrate on his growing career as a cartoonist and illustrator. He is published in a wide range of UK magazines and newspapers, and is the cover artist for The Week. He has won numerous awards and competitions for his work. He lives in Cheltenham, England with his wife Rebecca and his two sons, and the monster under his bed is named Brompton. Read more about Howard on his personal website. Error: Error validating access token: Session has expired on Sunday, 23-Sep-18 01:36:16 PDT. The current time is Friday, 26-Apr-19 01:12:14 PDT.